Rich Zimmerman was a joy to be around. I first met him in the Chicago airport waiting for an Amaerican airlines flight to get to Eldora Raceway and see some more racing. He worked for the American and was on the waiting list while I had my seat. 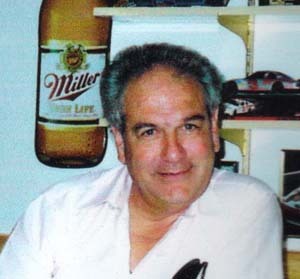 Over the years he was a big supporter of Wagtimes and loved his racing and his beer. He had many friends who welcomed him along the way and would show up at races where I went often. He was honored by a "dash" during the Knoxville Nationals after his passing where Sammy Swindell won and collected the money his son Kevin put up. He passed away at the Western World and will be remembered by all. Rest in peace Rich!